Millions of tourist from all around the world come to Turkey every year. There are different types of tourism. Most people prefer this country for its beautiful beaches and coves. The most popular tourism centers of Turkey are Istanbul, Antalya, Cesme, Kusadası, Bodrum, Fethiye, Marmaris, Kas and Alanya. Most preferred airports to reach these points are Istanbul Ataturk Airport, Istanbul Sabiha Gokcen Airport, Ankara Esenboga Airport, Izmir Adnan Menderes Airport, Adana Sakirpasa Airport, Antalya Airport, Antalya Gazi Pasa Airport, Bodrum Milas Airport And Dalaman Airport. The biggest and busiest airport in Turkey is Istanbul Ataturk Airport. It is on the European side of Istanbul. And Sabiha Gokcen Airport is on the Asian side of Istanbul. You can go to all touristic points in Istanbul and surroundings with airport transfers or transfer to other cities by plane from these airports. Foreign tourists are usually interested in Sultanahmet Mosque, Ayasofia Mosque, Topkapi Palace, Dolmabahce Palace, the Basilica Cistern, Maiden’s Tower, Galata Tower, Grand Bazaar and many other mosques, churches, museums, etc. Istanbul has hosted much civilization for a long time and has a very rich history. Therefore, there are many historical places from all civilizations like Byzantine, Rome and the Ottoman Empire. You will hear many good and interesting stories about these places and people who lived there like Galata a Maiden’s Towers’ impossible love. Istanbul is a shopping paradise with Grand Bazaar, Spice Bazaar and a lot of shopping malls. You can find everything from world brands to local brands, all originals, and imitations. Some districts of Istanbul are itself touristic like Taksim, Bebek, Kadıköy, Eminonu, Besiktas, and Galata. Also, there are many historical places around Istanbul like Izmit, Sakarya, and Edirne. In addition to these, you can go to Canakkale by ferry. A great saga was written in Canakkale, Canakkale War. Çanakkale still carries traces of this war. So, it is a perfect cultural and historical tourism destination. Ankara is the capital city of Turkey. Therefore, business tourism is the main tourism type of this are. The main points of Ankara are the Grand National Assembly of Turkey buildings, Anitkabir, Ethnographic Museum and Ankara Castle. Kızılay is the biggest shopping center of Ankara. Dikmen Valley and Estergon Castle. Actually, there are many other parks, museums, and mosques but these are the most popular. Especially Hamamonu, Youth Park and Dikmen Valley catch tourists’ attention. You can go to Izmir city center, Cesme, Foca, Alacatı, Sirince, Kusadasi, Didim and Ayvalik from Izmir Adnan Menderes Airport. Ephesus Ancient City is the most popular historical place and favourite of tourists. Bozdag Ski Center is 110 km away from Izmir city center and the biggest ski center of the Aegean area. Cesme is one of the most preferred resorts in Turkey, and famous for its hot springs and beautiful beaches. Mordogan, Seferihisar, Sigacik, Karaburun, and Dikili are less crowded and more restful beaches and touristic points of Izmir. Sirince is famous with wine and many people believe that it is an apocalypse-protected area. You can easily reach all these areas from Adnan Menderes Airport with Izmir Airport Transfers. Adana Sakirpasa Airport is the sixth biggest airport of Turkey and the most preferred airport of its area. It is only 5 km away from the city center. Adana is not a sea tourism center that much. Business and gastronomy tourism are more widespread than sea tourism. It is an agriculture, industry and trade area so usually, businessmen use Adana Airport. But, Adana is one of the places that has been home to civilizations since the beginning of mankind. Therefore, it is also convenient for cultural tourism. Adana has many historical mosques, museums, ancient cities and historical buildings. For example, Adana Stone Bridge is the symbol of Adana. Adana is in the Cukurova region also known as Cilicia. This region includes Mersin, Osmaniye, Hatay, and Adana. Cukurova is the granary of Turkey because it has the biggest plains, Cukurova Plains. Adana has 2 blue flag beaches, Yumurtalık beach, and Alara beach. Yumurtalık beach is the most known beach in Adana. Also, you can go to Ceyhan, Gaziantep, Hatay, Iskenderun, Kahramanmaras, Mersin, Osmaniye, Silifke and Tarsus from Adana Airport with Adana airport transfer services. Antalya is the biggest tourism center of Turkey, especially preferred by European tourists. Antalya has sea tourism, ski tourism, and cultural tourism. There are a huge number of hotels from 5 stars to 1 star, suitable for all budgets. Waterfalls and caves of Antalya are famous. For example, Manavgat Waterfall, Duden Waterfall, Damlatas Cave and Dim Cave. The most popular touristic districts of Antalya are Alanya, Kemer, Belek, Manavgat, Konyaalti, Kas, Olympos, and Side. You can do wave surfing in Side. You can reach also Mersin, Burdur, Isparta, Konya, Fethiye and Marmaris from Antalya Airport. 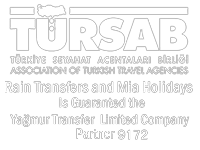 Mugla has 2 airports and both are popular and busy, Bodrum Milas Airport and Dalaman Airport. Guests usually prefer Bodrum Milas Airport to reach Bodrum, Milas, Didim, and Akbuk, and Dalaman Airport to reach Dalaman, Dalyan, Marmaris, Datca, Fethiye, Koycegiz and Kas. Some points are available from both of them. Mugla offers you the Aegean and Mediterranean sea at the same time. Especially in Datca, you can see the Aegean sea on your right side and the Mediterranean sea on your left side. There are ferry services to Greek islands like Rhodos, Sými, and Kos. You can visit these islands daily or you can stay there. 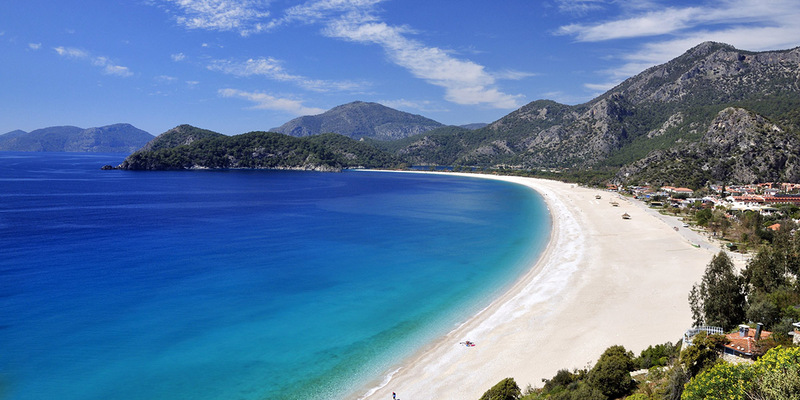 Mugla is a holiday paradise with amazing bays, you can join a boat trip and swim in these beautiful bays. It is a mountainous city so if you prefer rain transfers, you can easily and comfortably reach your resort with Dalaman Airport transfers or Bodrum Milas Airport transfers. Turkey is one of the best choices for a holiday because it is cheap. You can use these airports in order to go to beautiful cities, Rain transfers will offer you the best airport transfer service at these points cheaply. Our taxis are available to you every time. You can do your reservation in www.raintransfers.com with one click.